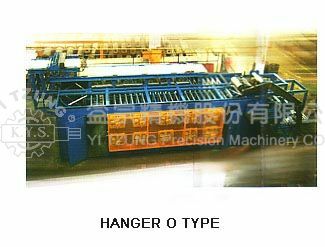 THE MAIN STRUCTURE OF HANGER TYPE BATCH OFF MACHINE CONSISTS OF SHEET INLET SECTION, SHEET STORAGE SECTION AND SHEET OUTPUT SECTION. 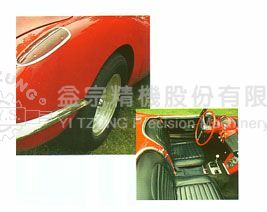 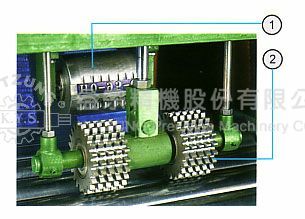 MARK PRINTNG DEVICE：THE NUMBERCAL AND LETTER CAN BE MARKED ON THE RUBBER. 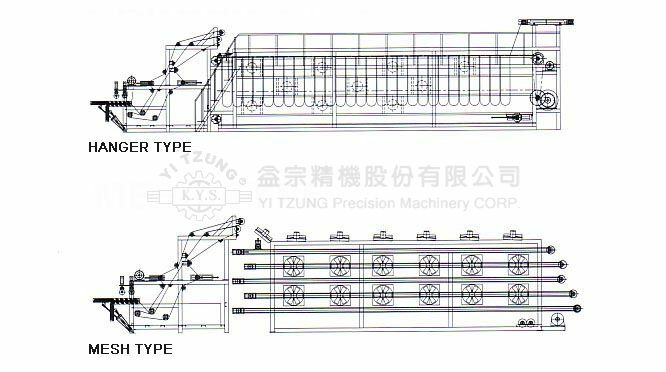 RUBBER SHEET JOINTING DEVICE：EACH BATCH OF RUBBER SHEET CAN BE JOINTED BY THE JOINTING DEVICE WHITCH IS EQUIPPED ON TOP OF CONVEYOR OF SHEET INLET SECTION.